8331 #2 S Old Oregon Inlet Rd, Nags Head-This 4bd/2bth condo for sale in Nags Head is a detached house located in the Laughing Gull Cottage Court just steps away from the beach with ocean views. 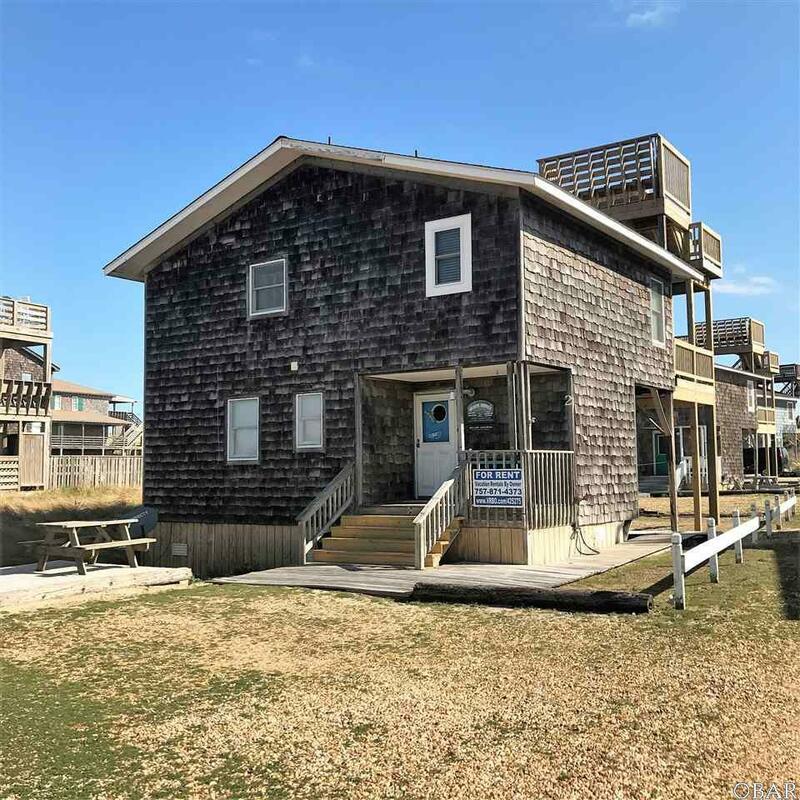 There are only 9 units in Laughing Gull making this quaint location ideal for those looking for a 2nd home or rental without breaking the bank. While this is a detached house it is classified as a condo and the HOA fees pay for water, homeowners, wind/hail, flood insurance, beach access and driveway is maintained by the association. The house comes furnished and is ready to go for a new buyer. New back deck and crows nest just completed in 2016 that offer wonderful ocean views. Not many places come on the market so close to the beach at this price so don't miss out!! Listing courtesy of Matt Huband of Obx Realty Group, Llc. © 2019 Outer Banks Association of Realtors MLS. IDX information is provided exclusively for consumers' personal, non-commercial use and may not be used for any purpose other than to identify prospective properties consumers may be interested in purchasing. Information is deemed reliable but is not guaranteed accurate by the MLS or Surf or Sound Realty. Data last updated: 2019-04-22T09:37:36.